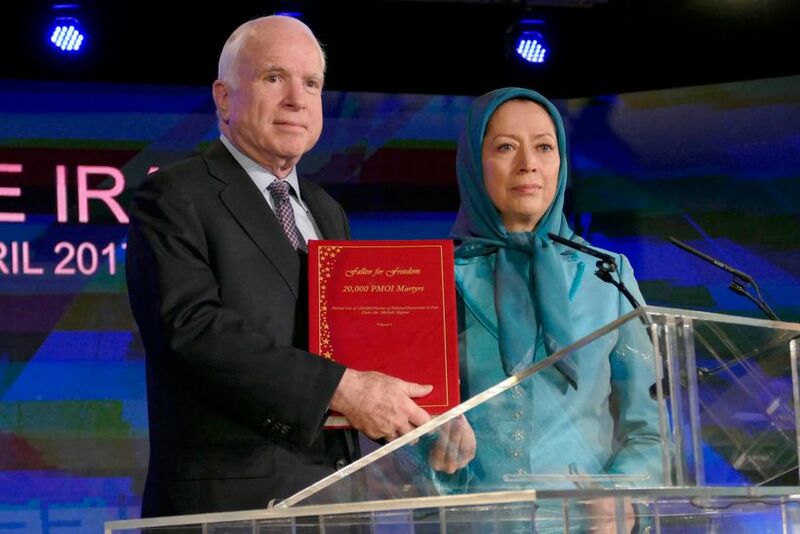 In a critical move, Senator John McCain (R-AZ), Chair of the Senate Armed Services Committee, has recently met with Mrs. Maryam Rajavi, the President-elect of the National Council of Resistance of Iran (NCRI) in Tirana, Albania. They discussed Iran’s politics, the Islamic Republic’s role in the region, and the future prospects. This meeting highlights a significant development in establishing further communication with Iran’s opposition. Today, the Iranian government and media outlets reacted immediately and harshly to this visit by denouncing the United States. Iran’s Foreign Ministry spokesman Bahram Qassemi condemned the U.S. and stated that the US will pay for its mistakes. Previously, In an unprecedented move, a 23 member bi-partisan group of senior former US officials signed a critical letter and delivered it to President Donald Trump. The letter suggested new policy options regarding the Islamic Republic of Iran and the need for the US to open up a meaningful channel of communication with the Iranian opposition, namely the coalition, National Council of Resistance of Iran (NCRI). This is something that has never been done under any other administration. The letter was signed by senior former US officials including Rudy Giuliani, Joseph Lieberman, Patrick Kennedy, General Hugh Shelton (a former chairman of the Joint Chiefs of Staff under President Bill Clinton) to name a few. It explains that revised policies toward Iran are needed because Iran has used every opportunity since its establishment to scuttle US foreign policy objectives and damage US national, geopolitical, economic and strategic interests with the assistance of its proxies. More importantly, the officials urged Trump to cooperate with Iran’s opposition, as other countries are doing the same “Bush publicly credited the resistance [NCRI]. It is time to end the fundamentalist regime’s undue influence over US policy and establish a channel of dialogue with the NCRI, as many other governments have done, consistent with the longstanding US diplomatic practice of dialogue with political opposition groups worldwide.” For Iranian leaders, the NCRI is a serious threat to their hold on power. They fear foreign governments’ cooperation with the NCRI because it would put significant pressure on the ruling clerics and tip the balance of power against them. Iranian leaders fear that Iranian opposition might inspire the disaffected youth in Iran to protest against the government. Khamenei has repeatedly shown that his main concern is such infiltrations. More fundamentally, an Iran without the current ruling clerics in power would be a powerful US ally, rather than being an enemy sworn to consistently strive to damage US security and national interests. An Iran without the ruling clerics in power would fundamentally shift the regional and global balance of power in favor of the US. Senator McCain is giving his speech. A fundamental change in Iran’s government would be a critical step to end human rights violations and bring stability to the region. Deputy Chief of the U.S. Mission, some of the U.S. Embassy staff in Tirana, Albania, as well as several of Senator McCain’s advisors accompanied him in this visit. Before this visit, Senator McCain visited one of the MEK headquarters in Tirana, with Maryam Rajavi. 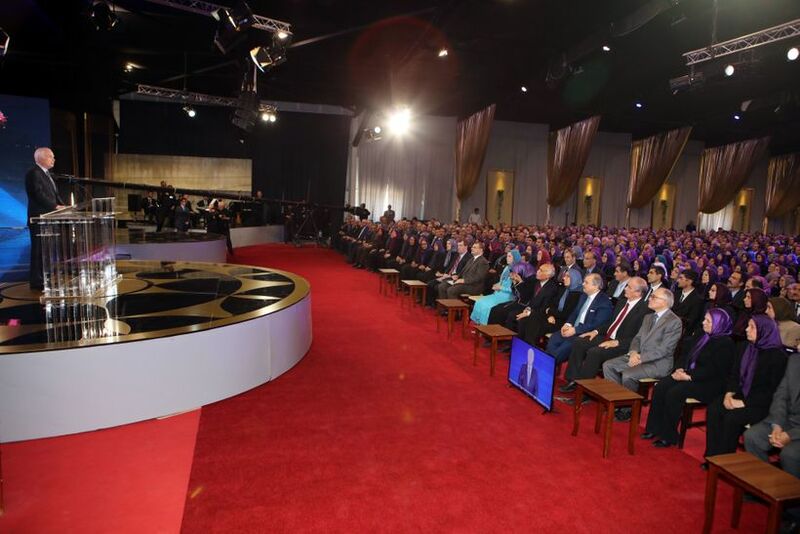 In her speech to the gathering, Mrs. Rajavi thanked Senator McCain for his efforts in support of the MEK members “The relocation of MEK members was a great achievement. Their persistence and sacrifices, coupled with international support made the relocation possible. You played a key role in the safe relocation of Camp Liberty residents and for that the people of Iran are grateful to you,” she added. 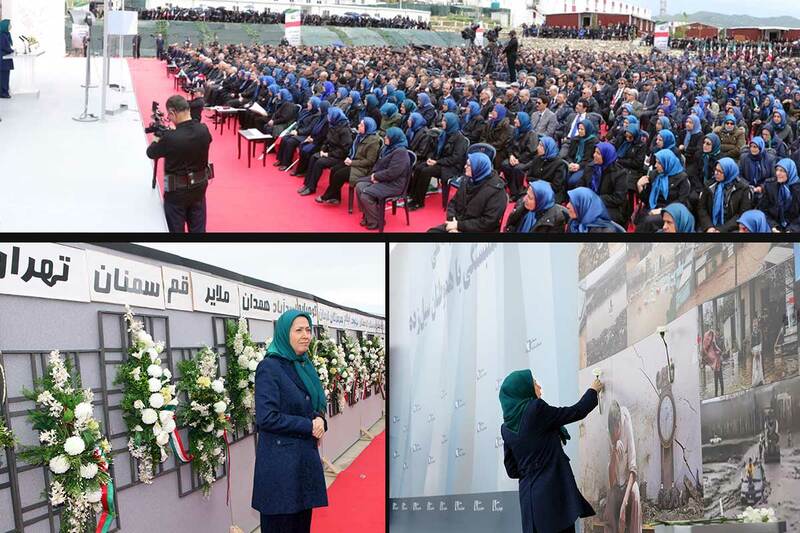 She also stressed that the Iranian Resistance was determined to continue its efforts “During the 2009 uprisings in Iran, while the Iranian people’s desire for freedom and democracy was brutally crushed, the U.S. Government regrettably remained silent. But the Iranian people have never given up their desire for regime change. We are more determined than ever to establish freedom and democracy in Iran. As the regime is beset by deepening crises, we are closer than ever to achieving our goal....From all indications, the clerical regime is at an impasse socially, politically, and economically and as such is quite vulnerable. 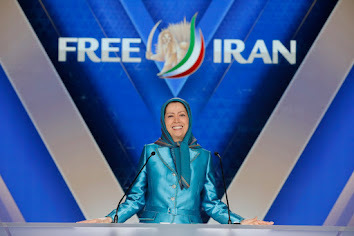 The Iranian people and Resistance are more determined and prepared than ever to overthrow the ruling theocracy and establish democracy and popular sovereignty in Iran.” Regarding the recent developments in the region, Mrs. Rajavi said that the Islamic Republic of Iran is responsible for many conflicts and humanitarian tragedies including in Syria. 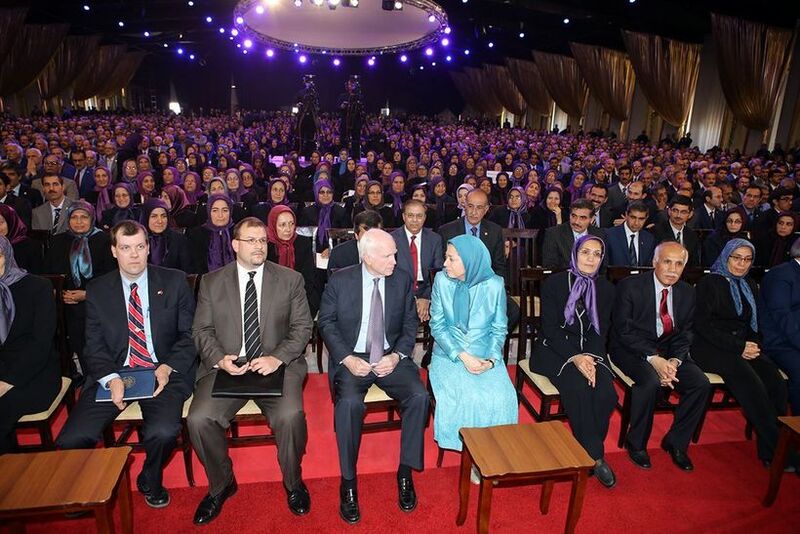 Addressing the MEK members, Senator McCain congratulated them on their successful relocation from Iraq. He added “There is no doubt that the people in this room have suffered. They have suffered not only themselves but in the loss of their loved ones because of the Iranian tyranny, and I express my condolences to everyone in this room who has lost a loved one as a result of the Iranian tyranny and terrorism.” Senator McCain also met with a some MEK members as well as former political prisoners. Finally, from my perspective, it is critical to point out that Iranian leaders fear the soft power of oppositional groups more than the military and hard power of foreign governments. That is why Iranian leaders and media outlets have reacted forcefully and anxiously to this visit. Iran’s oppositional groups can be a very powerful tool to counterbalance the Islamic Republic. You can also order Dr. Rafizadeh’s books on HERE. You can sign up for Dr. Rafizadeh’s newsletter for the latest news and analyses on HERE. And You can learn more about Dr. Rafizadeh on HERE. Harvard-educated, Dr. Majid Rafizadeh is a businessman, a leading American political scientist, president of the International American Council on the Middle East, and best-selling author. He serves on the advisory board of Harvard International Review. 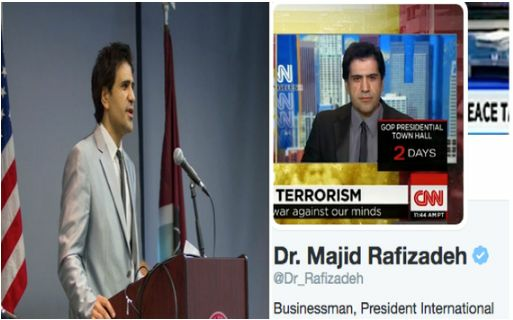 Dr. Rafizadeh is frequently invited to brief governmental and non-governmental organizations as well as speak, as a featured speaker, at security, business, diplomatic, and social events. He has been recipient of several fellowships and scholarships including from Oxford University, Annenberg, University of California Santa Barbara, Fulbright program, to name few He is regularly quoted and invited to speak on national and international outlets including CNN, BBC World TV and Radio, ABC, Aljazeera English, Fox News, CTV, RT, CCTV America, Skynews, CTV, and France 24 International, to name a few. . He analyses have appeared on academic and non-academic publications including New York Times International, Los Angeles Times, CNN, Farred zakaria GPS, The Atlantic, Foreign Policy, The Nation, The National. Aljazeera, The Daily Beast, The Nation, Jerusalem Post, The Economic Times, USA Today Yale Journal of International Affairs, Georgetown Journal of International Affairs, and Harvard International Review. He is a board member of several significant and influential international and governmental institutions, and he is native speaker of couple of languages including Persian, English, and Arabic. He also speaks Dari, and can converse in French, Hebrew. More at Harvard. You can contact him at Dr.rafizadeh@post.harvard.edu or follow him at @Dr_Rafizadeh.